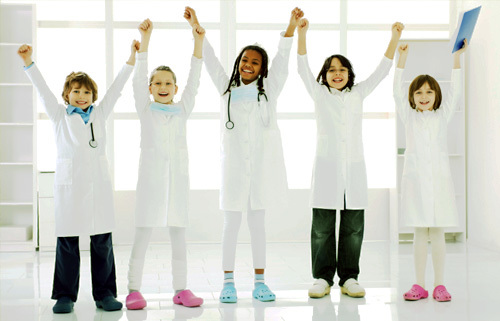 At Surf Pediatrics and Medicine we value our patients, and stand by our mission in providing a medical home that keeps you and your family healthy and enables growth in body and mind. Please utilize this website for educational information and interactive services! If you have any problems, please contact Taylor Towery at the Kill Devil Hills office (252) 261-1304. The following email provides further educational information about this diagnosis along with generalized treatment goals and care plans. Anemia is a condition that affects your red blood cells. Your red blood cells carry oxygen from your lungs to the rest of your body. Hemoglobin is the protein in red blood cells that allows them to carry oxygen. Your body needs iron in order to make hemoglobin. People who have anemia don’t have enough hemoglobin. The most common cause of anemia is when your body doesn’t make enough hemoglobin because it doesn’t have enough iron. This is called iron deficiency anemia. Another common type of anemia is when your body doesn’t have enough red blood cells, but the red blood cells you do have are normal in size. This is called normocytic (say: “normo-sit-tic”) anemia. What are the symptoms of anemia? What can cause low iron levels? Diet. You may have low iron levels if you don’t eat enough foods high in iron. This is mostly a problem for children, young women who follow “fad” diets and people who don’t eat meat. Inability to absorb iron. The iron in your food is absorbed by the body in the small intestine. Diseases that affect your small intestine’s ability to absorb nutrients, such as Crohn’s disease or celiac disease, may cause low iron levels in your body. Some foods or medicines, including milk, antacids or stomach acid-lowering medicines, also can prevent your body from absorbing iron. Growth spurts. Children younger than 3 years of age grow so fast that their bodies may have a hard time keeping up with the amount of iron they need. Infants who drink cow's milk in the first year of life are at risk for iron deficiency anemia. It’s the most common dietary cause of iron deficiency in infants. Cow’s milk does not have enough of the iron infants need to grow and develop. Do not give cow's milk to your infant in the first year of life. Breastfed infants who do not eat iron-rich foods like iron-fortified cereal or take an iron supplement after the fourth month of life are also at risk of iron deficiency anemia. (12 to 24 months of age) who drink a lot of cow's milk, have a diet low in iron, or already had iron deficiency as an infant are also at risk. Pregnancy. Women who are pregnant or who are breastfeeding need more iron than women who are not pregnant or breastfeeding. That's why pregnant women often are tested for anemia and why they need to eat more iron-rich foods or take a daily iron pill. When you're pregnant, your body makes more blood to share with your baby. You may have up to 30% more blood than when you’re not pregnant. If you don’t have enough iron, your body can't make the red blood cells that it needs to make this extra blood. Losing a lot of blood (for example, from an injury or during surgery). If you are pregnant and are not getting enough iron, you are at risk of developing iron-deficiency anemia. Blood loss. Heavy periods may cause low iron levels in women. Internal bleeding, usually in the digestive tract, also can cause blood loss. A stomach ulcer, ulcerative colitis, cancer, or taking aspirin or similar medicine for a long time can cause bleeding in your stomach or intestines. Genetic diseases. If you have sickle cell disease or thalassemia, your body has trouble producing healthy red blood cells, which can lead to anemia. You’re also at risk of passing these diseases on to your unborn baby. If you or someone in your family has one of these diseases, talk to your doctor about how to prevent or treat anemia while you’re pregnant. Normocytic anemia can be a problem you were born with (called congenital) or it can be caused by an infection or disease (called acquired). The most common cause of the acquired form of normocytic anemia is a chronic (long-term) disease. Chronic diseases that can cause normocytic anemia include kidney disease, cancer, rheumatoid arthritis and thyroiditis. Some medicines can cause you to have normocytic anemia, but this does not happen often. Talk to your doctor if you think you might have anemia. To diagnose anemia, your doctor will probably test your blood. If you have anemia, your doctor may need to do other tests to find out what's causing it. Normocytic anemia is most often found by routine tests that are part of a physical exam. It might be found by a blood test you get for some other reason. A complete blood count (also called a CBC) can show if you have normocytic anemia. If your CBC shows a low number of normal-sized red blood cells, your doctor might want you to get more tests to see what is causing the anemia. If you were born with it, other family members may also need to be tested. Should my child be tested for iron deficiency? If you’re worried and think your child might have iron deficiency anemia, talk to your doctor. Infants at risk for iron deficiency should be checked with a blood test at 9 to 12 months of age. Toddlers should be checked 6 months later and at 24 months. Should I be tested for anemia if I’m pregnant? During your first prenatal visit, you’ll have a blood test to check for anemia. Even if you don’t have anemia during your early pregnancy, your doctor will probably want to check you again in your second or third trimester. Treatment depends on what's causing your anemia. For example, if anemia results from losing too much blood, your doctor will need to treat the cause of your blood loss. If anemia results from your diet being too low in iron, your doctor may recommend a change in your diet or iron pills. Take the pills with food. Start slowly. Try taking 1 pill a day for 3 to 5 days, then 2 pills a day until you aren't bothered by that amount. Increase the number of pills until you're taking the amount your doctor recommended. Increase the fiber in your diet if you have constipation. This is worth trying, even though fiber may get in the way of how well your body can absorb iron. You'll still be able to absorb some iron, and it's better than not taking any iron if you need it. Don't take iron pills at bedtime if they upset your stomach. If one type of iron pill causes problems, talk to your doctor about trying a different formula or brand. How is normocytic anemia treated? Managing the condition that is causing the anemia is the most important part of treating it. This might mean you would stop taking a particular medicine, or your doctor might treat a chronic illness or look for something that is causing you to lose blood cells. If your normocytic anemia is very bad, you might get shots of erythropoietin. Erythropoietin (say: “air-rith-ro-po-et-in”) helps your bone marrow make more red blood cells. How is anemia treated in children? If your child is breastfed, talk to your doctor about adding some form of iron, such as iron-fortified cereal or vitamin drops with iron, to your child's diet starting at 4 to 6 months of age. Keep all products with iron stored out of the reach of your child because they can be poisonous if taken in large amounts. What problems can iron deficiency anemia cause in my child? Iron deficiency anemia can cause your infant or toddler to have mental, motor or behavior problems. These problems can be long lasting even after treatment fixes the anemia. What problems does anemia cause during pregnancy? If anemia isn’t treated, it can increase your risk of having your baby too early or having a baby who doesn’t weigh enough. You’ll also be at risk of needing a blood transfusion if you lose a lot of blood during delivery. Anemia may also be associated with postpartum depression (depression after delivery) in new mothers. Rarely, mothers who have severe iron-deficiency anemia may pass along problems associated with low iron to their babies. This can lead to growth problems and mental delays. However, developing babies usually take as much iron as they need from their mothers. Getting treatment for your iron-deficiency anemia can almost always prevent these problems. Can iron pills cause problems? Iron pills can cause stomach upset, heartburn and constipation. Be sure to talk to your doctor before you take extra iron pills or vitamins. Lack of iron in your diet may not be the cause of your anemia and too much iron is not good for you. If your doctor prescribes iron supplements, be sure to tell your doctor about any discomfort you notice. Some types of anemia can be prevented, such as those caused by diet. You can help prevent this type of anemia by increasing the amount of iron in your diet. How can I increase the iron in my diet? Eat more foods that are high in iron. Your body best absorbs iron that comes from meat. Eating a small amount of meat along with other sources of iron, such as certain vegetables, can help you get even more iron out of these foods. Taking vitamin C pills or eating foods high in vitamin C, such as citrus fruits or juice, at the same time you eat iron-rich foods or take your iron pill can also help your body absorb the iron. How can I prevent iron-deficiency anemia during pregnancy? Foods with vitamin C—such as strawberries and citrus fruits—help your body absorb iron. Eat these foods with foods that are high in iron to help with absorption. For example, if you’re taking an iron pill, take it with orange juice or another food high in vitamin C. Some foods can block iron absorption. These include milk, soy protein, egg yolks, coffee and tea. Avoid these foods when eating iron-rich foods. Antacids and some other medicines that contain calcium also block iron absorption. Your doctor can tell you more about which medicines to avoid if you’re trying to boost your iron levels. How do I prevent iron-deficiency anemia in my child? If you use iron-fortified formula, do not give your child vitamin drops with iron. This combination provides too much iron and is not healthy. If you decide to stop breastfeeding before your infant is 12 months of age, use iron-fortified formula. Do not use low-iron formula. After your child is 12 months old, if you stop breastfeeding or using iron-fortified formula, you should feed your toddler meat, chicken, fish, whole grains, enriched bread and cereal, dark green vegetables, and beans. Vitamin C is also important because it helps the body absorb iron. You should limit your child to less than 24 oz of cow's milk per day. (That's 3 cups of milk.) You might try giving your child yogurt and cheese. Ask your doctor if you should continue to give your child vitamins with iron. We accept your direct communication through the portal! Please log in to send direct messages to our providers or office staff.